The Kyosho MB-010VE 2.0 Mini-Z Buggy Chassis Set is an optimized racing platform with the inclusion of a brushless motor, with tires and wheels sold separately in this ‘2.0’ evolution. The other significant change is the redesigned ESC circuit board that delivers vastly improved throttle control, enabling the posture to be controlled through jumps for a distinct racing advantage. In addition to the throttle and brake parameter settings possible with the previous model ESC with Setup Cable (No.82081, sold separately) and free software download, this circuit board features brake frequency and ESC protection settings. With each parameter setting, you can create a MINI-Z Buggy that fits your driving style perfectly. 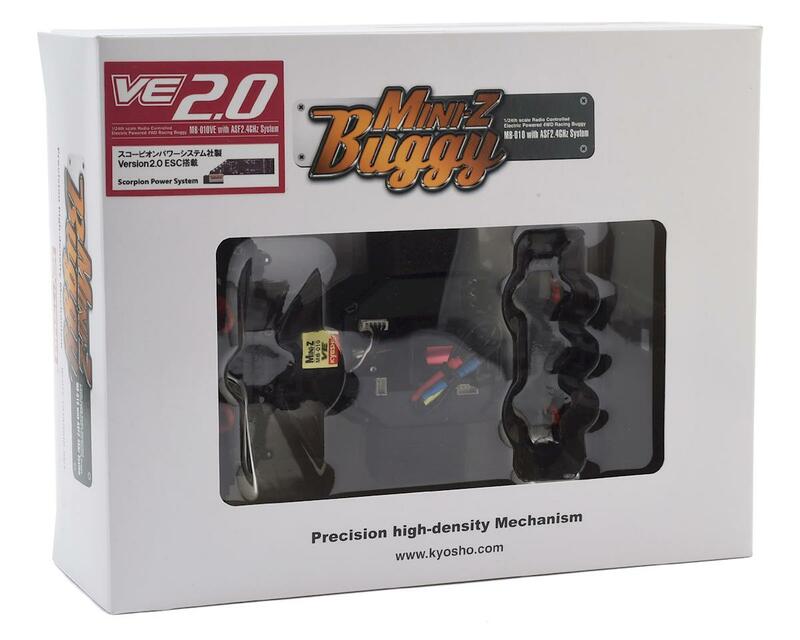 MINI-Z Buggy MB-010VE 2.0 Chassis Set, equipped with brushless motor. New ESC jointly developed with Scorpion Power System enables precision adjustment of each setting. Additional settings include brake frequency and ESC protection settings. Settings can be changed with Setup Cable (No.82021, sold separately) and free software download. Full bearing specifications, just like the current Buggy Series. Includes previously optional Under Guard and Ball Stud Wrench (MBW033) for increased chassis rigidity. Huge range of optional parts is available for tuning upgrades. 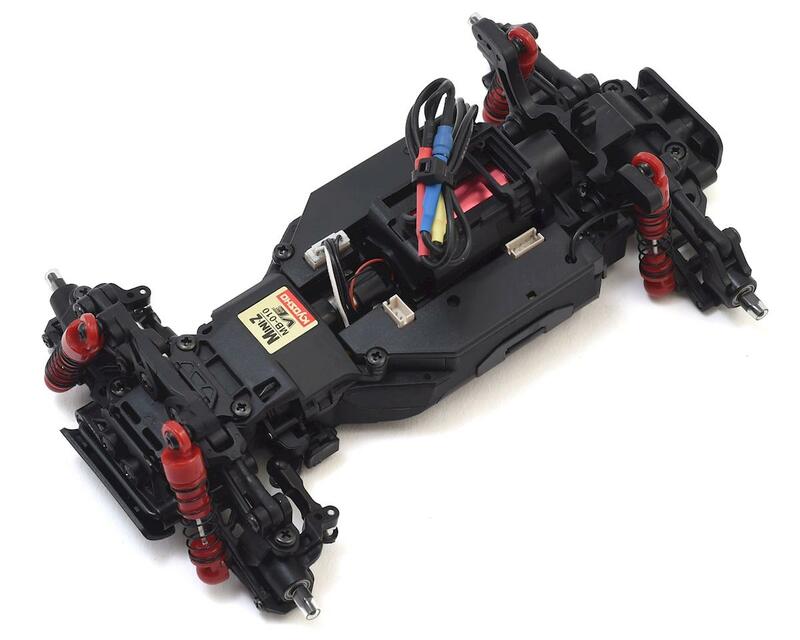 Comic Racer body can be installed by using No.MB022 Shock Stay / Body Mount Set. Factory assembled MB-010VE chassis installed with Team ORION XSPEED VE brushless motor.